Nepal is beautiful, complex, frustrating and intriguing. It’s difficult to summarize a country that’s so diverse in geography and culture. Like many travelers, we came to Nepal to trek in the Himalayas. 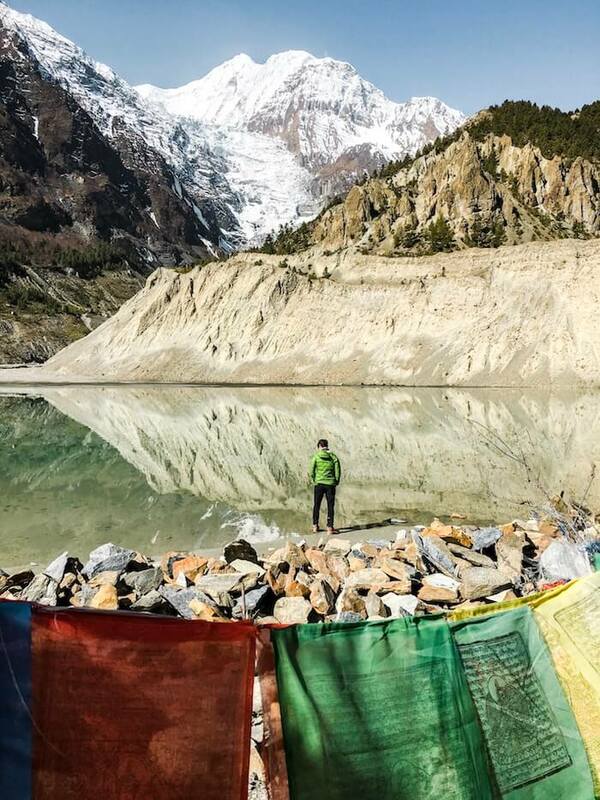 Our experience of hiking the Annapurna Circuit will stay with us forever. However, it’s not just the mountains that we’ll remember. We’ll remember the Nepalese people who openly shared with us both their love of country as well as their deep dissatisfaction with their government. From a number of conversations, we gleaned that Nepali people have a great desire to succeed in life, but feel utterly hopeless, if not defeated, because of government corruption. As you travel throughout Nepal, it’s important to be patient and compassionate. If you are, this country will enrich you in more ways than one. The Living Goddess by Isabella Tree – An illuminating read about the Kumari tradition in Nepal. The tourist areas of Nepal are well connected via various public and tourist bus lines. That being said, prepare yourself for long and bumpy journeys. You’ll get to your destination, but it might be an adventure with traffic, roadwork stops (think 2 hours), animal passengers, and complimentary theme-ride-jolting. Microbuses are vans that have designated routes and leave at certain times. Microbus operators stuff these vans to the brim, so it’s not the most comfortable form of transit. Generally, they are said to be faster, but also not as safe as public buses. We traveled from Kathmandu to Besisahar via Microbus. With our luggage strapped to the roof, it was still very tight in the microbus. Expect open windows and no air-conditioning. Make sure to establish the price before getting on the microbus. This is the cheapest way to get from point A to point B. However, it’s the slowest form of transit and the least comfortable. Public buses stop often and are usually filled beyond capacity. Despite the discomfort and the safety issues (e.g. broken seats, no seatbelts), getting on a public bus is an entertaining and culturally immersive experience. Locals will start conversations with you and offer you food (and alcohol). Don’t be alarmed if other passengers hold onto you (your knee, shoulder) for stability during the bus journey. Also expect open windows and no air-conditioning. Public Bus Tickets: 150-300 NPR. This is the most comfortable way to travel longer distances. The best tourist bus operators have air-conditioning, wifi (though not reliable), water, and ample leg room. We traveled with Mountain Overland twice (Pokhara – Chitwan and Chitwan-Kathmandu) and we were happy with their service. Bus tickets ~600- 700 NPR. For short distances, taxis are a convenient way to get around. Make sure to negotiate the price before agreeing to the ride. We relied on taxis to get to various sites in Kathmandu. 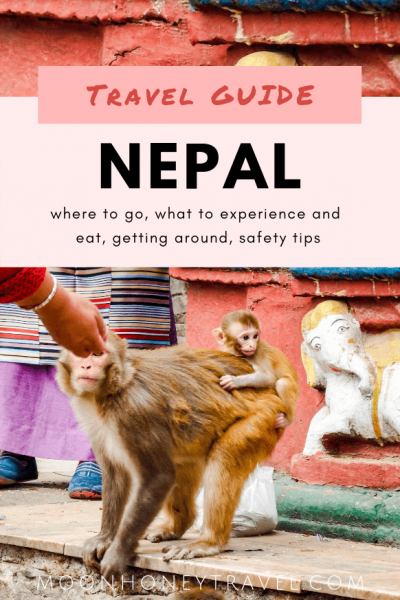 We paid 350 NPR to get from Thamel to Swayambhunath Temple (Monkey Temple) and 500 NPR to get from Thamel to Boudhanath Stupa. Regions: Nepal is divided into 7 provinces (as of September 2015). Language: Nepali is the official language of Nepal, however there are 123 languages spoken throughout the country. Tipping Etiquette: Tipping is not a standard practice among Nepali people. In restaurants a service charge of usually 10% is added to the bill automatically. If you hire a guide, and/or porter for trekking, tips are customary and appreciated. Water Quality: Poor. Only drink bottled, or purified water. For long treks, opt for a purification system. You can use a UV water purifer (e.g. SteriPEN), or water purification tablets (e.g. Aquatabs). Something Interesting: There are living goddesses in Nepal known as Kumari. It’s believed that Devi, the divine female energy, inhabits the bodies of certain young pre-pubescent girls. The Kumari is worshipped and revered by some Hindus, though traditionally the living goddess is from the Newari ethnic group, who are mostly Buddhist. 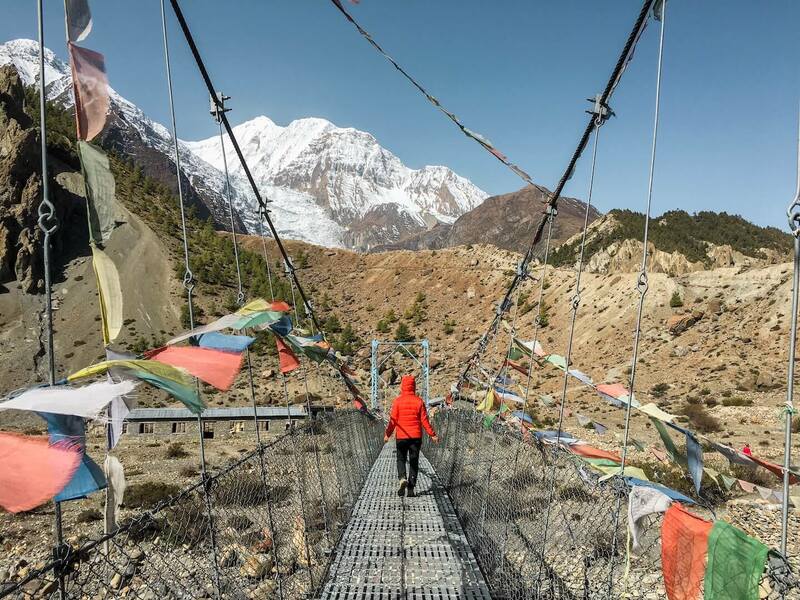 The Annapurna Circuit is a multi-day “teahouse” trek that encircles the Annapurna Massif. Because there are lodges catering to trekkers along the trail, you’ll always have a place to sleep and eat. There’s no need to bring camping gear (just a sleeping bag). 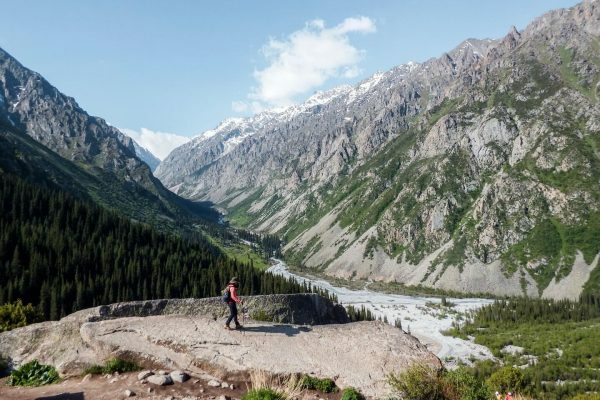 The circuit traverses through river valleys, farmland, rainforest, desert and over the highest mountain pass in the world (Thorung La, 5,416 meters). As you hike village to village, you’ll observe the rhythms of local life and relish the simplicity of your trekking routine. 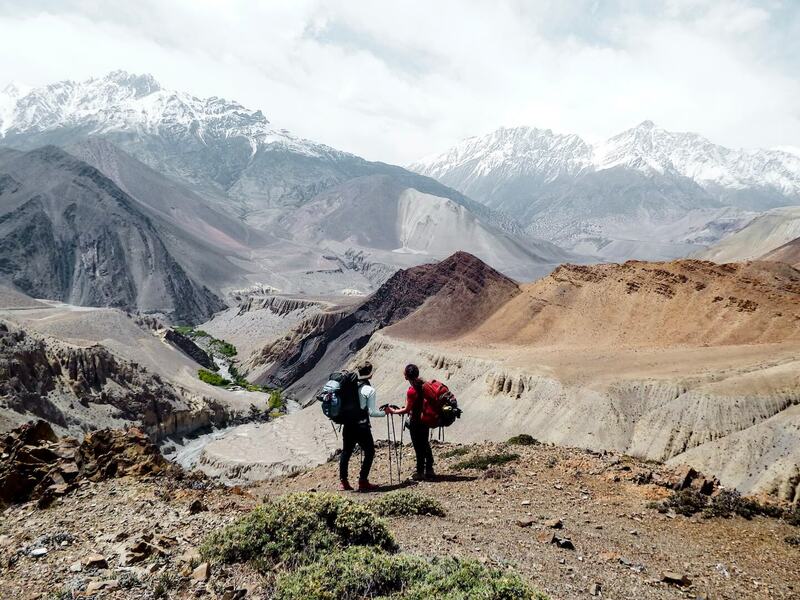 Most people start this trek in order to gaze up at the mighty Himalayan giants. However, it’s the people (locals and fellow trekkers) that’ll leave the most lasting impression. 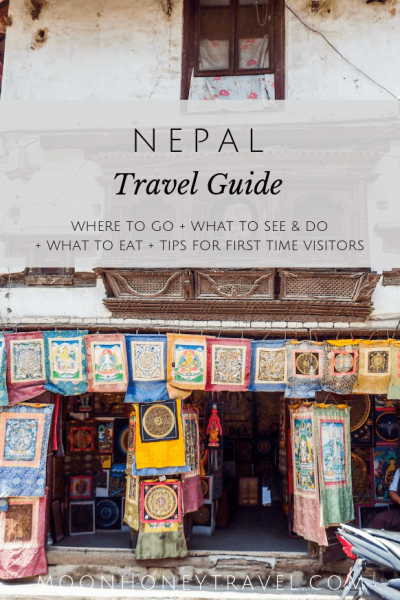 We’ve created an Annapurna Travel Guide to help you prepare for the trek. 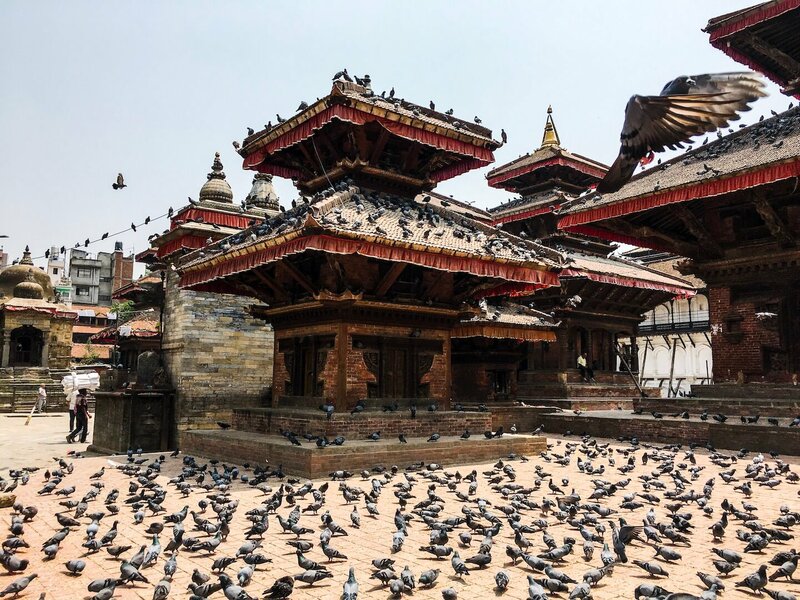 If you come to Nepal, you’ll likely start, or end your trip in Nepal’s capital city. Dirty, dusty and full of pollution, Kathmandu is a lot to digest at first. 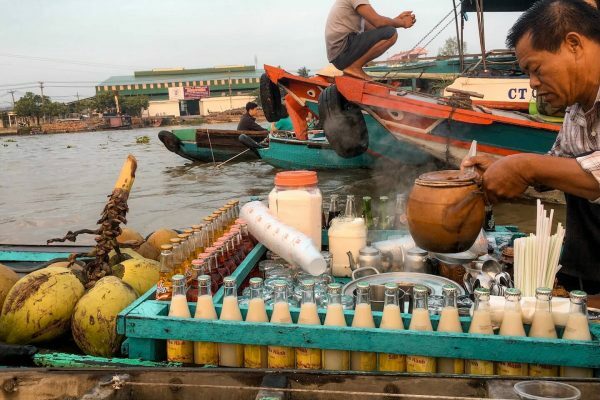 As motorbikes, rickshaws, and cars tightly pass you and street vendors offer you tiger balm, cannabis, and fresh fruit, you might feel utterly overwhelmed. And that’s okay. Find peaceful places to rejuvenate, like the Garden of Dreams, OR2K Restaurant, or Coffee Ghar. When you’re re-energized, get lost in the chaos. You’ll walk beneath tangles of power lines, next to crumbling buildings and colorful storefronts, and around temples and stupas. 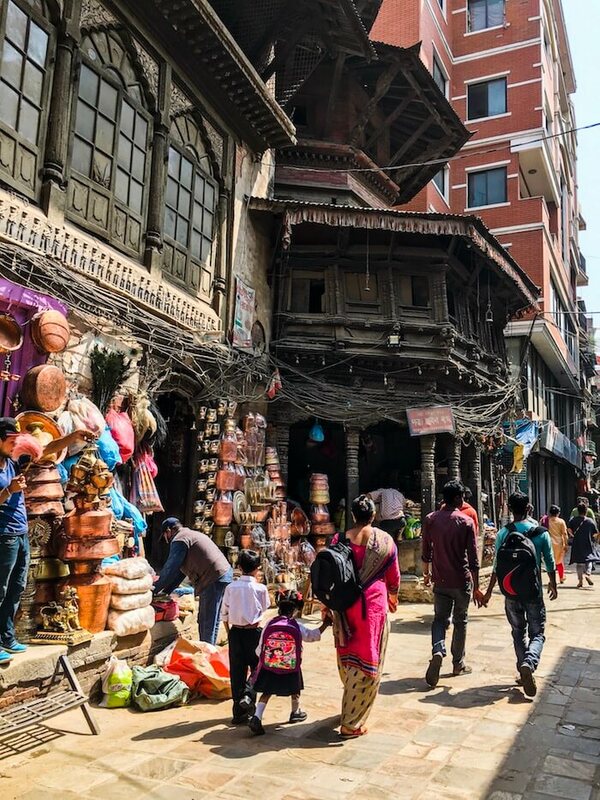 There’s a beauty about Kathmandu, but it exists under layers of dirt, next to sleeping stray dogs, and surrounded by litter. Where to Stay in Kathmandu: Dream Nepal Hotel. Clean, welcoming staff and excellent breakfast. Free airport pick-up service as well as free luggage storage service. Established in 1973, Chitwan National Park is Nepal’s first national park. 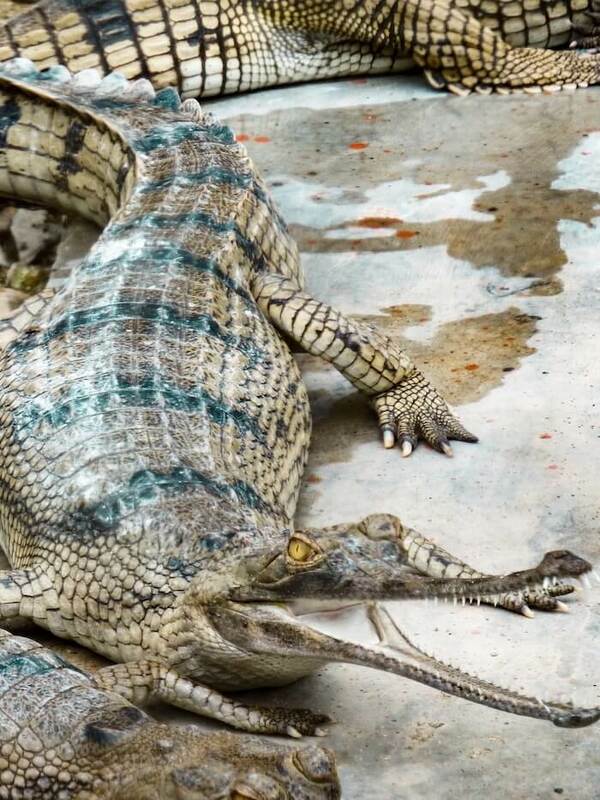 Though home to over 700 wildlife species, tourists flock to Chitwan to see greater one-horned rhinos, bengal tigers, sloth bears, mugger crocodiles and gharials. As a visitor, you can explore the park by foot, canoe, or jeep. Visiting Chitwan affords you a unique opportunity to see wildlife in the wild. We saw rhinos bathing and grazing, langurs and macaques resting in trees, crocodiles partially submerged in the Rapti river, a sloth bear crossing our path, and countless birds. According to our guides, the best time to visit the park is in February and March, followed by October and November. When we visited in late May, the elephant grass was very high, which made it difficult to spot animals on our guided walking tour. It was also very hot and humid. Park Entrance Fee: Foreigners must pay 1,500 NPR + Tax per day. Because there’s a daily entrance fee, it makes sense to consolidate your park activities into one day. Sample One-Day Itinerary: Canoe (45 minutes) + Guided Walking Tour (2 hours) in the morning, followed by a Jeep Safari in the afternoon (4 hours). You should organize your tour activities through your accommodation. By doing so, you can get a reduced rate on your room. Where to Stay: Hotels and guesthouses are concentrated in the town Sauraha, bordering the park. We stayed at the Travellers Jungle Camp, after checking out four other places. We chose this one, because it was the cleanest and most peaceful. Definitely opt for AC. Pokhara is a city located on Phewa Lake and a favored destination among Annapurna trekkers. After a long multi-day trek, Pokhara satisfies all your cravings and indulges you with its stress-free atmosphere, clean air, cafés, and spas. 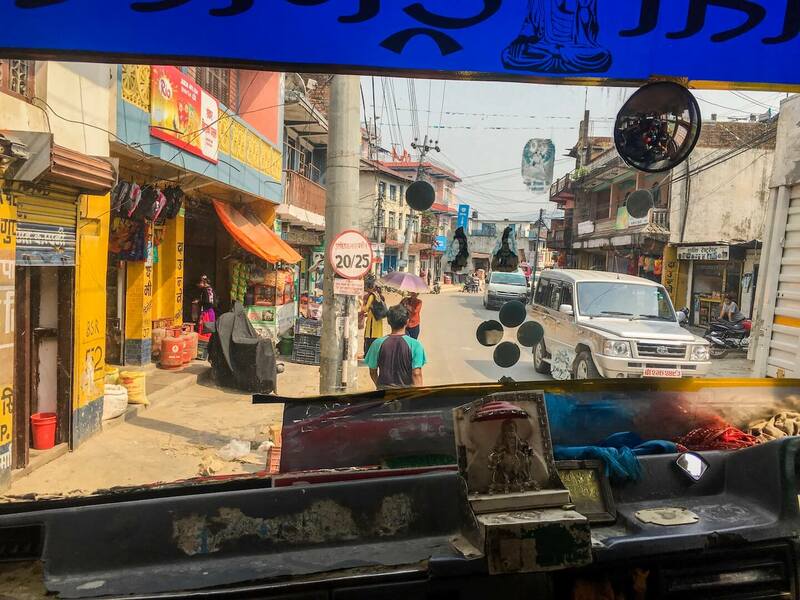 Although Pokhara caters unabashedly to tourists, with happy hour offers, hippie clothing, German bakeries, pizzerias, and tattoo shops, we thoroughly enjoyed our time there. 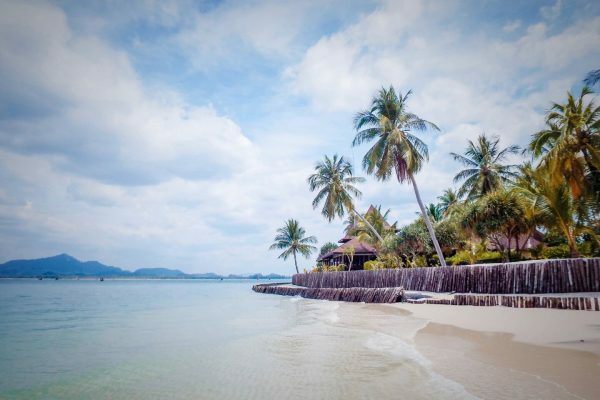 We needed a place to simply relax, drink cappuccinos and eat something other than Dal Baht. Had we not just trekked for 20+ days, we would have dismissed Pokhara as too-touristy and inauthentic. Nepalese food is good, but not life-changing. In other words, don’t come to Nepal for the food. While Nepalese food may not captivate your taste buds, it’s certainly interesting to learn about. Cuisine in Nepal is influenced by geography, ethnicity and religion in fascinating ways. For example, the Newari ethnic group, the original inhabitants of the Kathmandu Valley, eat buffalo meat in order to honor Durga (“Beyond Reach”). Durga is the Great Goddess of All Time who destroyed the buffalo-demon Mahisasura and the asuras (demons) who plagued the earth. That’s particularly intriguing because Newaris are mostly Buddhists, and Buddhists usually abstain from meat. Therein lies the complexity of Nepal, its people and culture. Thukpa – This is a hot noodle soup with Tibetan origins. It can be meat-based or vegetarian. Dal Baht (Thali) – A traditional meal composed of a selection of various dishes which are served on a round platter. An an average vegetarian Dal Baht will contain steamed rice, lentil soup (Dal), curried vegetables and pickles. Sometimes the meal will also contain yogurt. 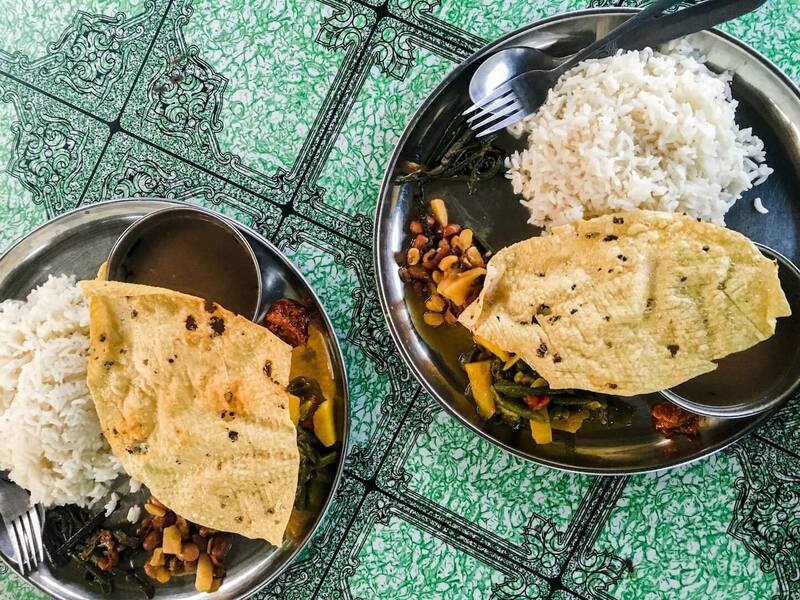 Nepalese traditionally eat this meal with their hands, but you won’t be expected to. With always complimentary refills, Dal Baht is the most satisfying meal to eat while trekking. It’s also usually the tastiest. Momos – Dumplings stuffed with your choice of either veggies, meat, and/or cheese. They are usually prepared steamed, but you can also get them fried. They are usually served with a tomato-based condiment as well as chili sauce. The best place to sample Newari food is in Kathmandu. It’s spicier, crunchier, and more meat-heavy than other Nepali cuisine. Sandheko – Spicy Newari salad made with potatoes, peanuts or lentils and seasoned with chilies, raw onions, and coriander. Chatamari – “Newari Pizza,” thin rice batter topped with an egg, or meat and spices. Samay Baji (Baji Set) – Newari Snacks Set that consists of a variety of dishes. The main dishes are Baji (beaten rice), Wo (lentil pancake), Mushya Wala (roasted soybeans), Aalu Wala (boiled spicy potato), Wauncha (stir-fried greens), Bhuti (boiled black-eyed peas), Lava-Palu (raw garlic strips), as well as Haku Chhoyla (barbecued buffalo meat). Seabuckthorn Juice – In the Himalayas at higher elevations, fresh seabuckthorn juice is a delicious beverage to try. Masala Tea (Masala Chai) – Popular hot beverage made by brewing black tea with a mixture of aromatic spices and herbs, such as cardamom, cinnamon, cloves, ginger, and black peppercorn. Milk and sugar is usually added to the tea. This applies to travelers arriving in the Tribhuvan International Airport (Kathmandu). Certain travelers (depending on Nationality) are eligible for a visa on arrival for 15 days, 30 days, or 90 days. As you get processed through immigration, you’ll need your passport (with at least six months validity), two passport photos, your filled-out Arrival Card (which you get in flight prior to arrival), your filled out Tourist Visa form (which you fill out upon arrival using Kiosk machines, or via paper), and the exact cash amount needed for your visa. Visa Fees (May 2018): 15 Days (25 USD); 30 Days (40 USD); and 90 Days (100 USD). We experienced lots of power outages during our time in Nepal. 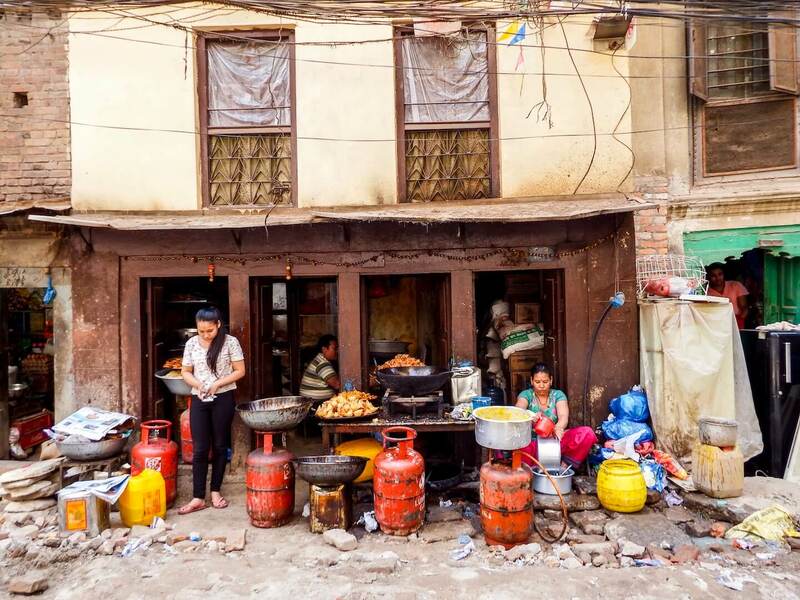 In Kathmandu, hotels have generators, so it shouldn’t impact your stay. However, if you’re trekking, most modest guesthouses won’t have a generator. We didn’t have electricity for several days during our Annapurna Trek. It didn’t impact us too much, because we had a portable charger. And, not having Wifi was absolutely okay with us. Just remember to charge your devices when you can and bring a power bank. Only drink sealed, bottled water. However, if you can find filtered water, opt for that. Some hotels and guesthouses offer filtered water for a small fee. When you order iced drinks (cocktails, iced teas, iced coffees, etc…), make sure the ice was made with filtered water. When trekking, opt for a water purification system, like water purification tablets (e.g. Aquatabs) or SteriPEN. There are also safe water stations in trekking areas, but it’s best to have your own purification system as a back up. Only eat fruits which can be peeled (mango, pineapple, coconut etc…). Avoid meat and dairy, especially where electricity is an issue. 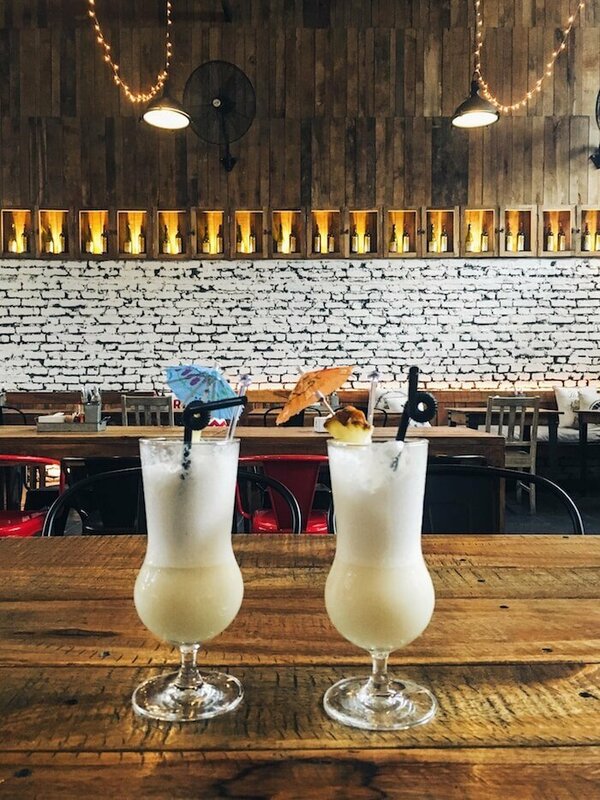 No electricity means no refrigeration. You’ll likely encounter both squat and western-style toilets during your visit. In the squat toilet stalls, you’ll see a bucket full of water, with a scoop. The water and scoop is for cleaning yourself and for manually flushing the toilet. If you’re not keen on this method, just remember to bring toilet paper with you into the bathroom. Dispose your used TP in a waste basket (not in the toilet). Electricity is 230V/50 cycles. 120V appliances from the USA will need a voltage converter. If you’re coming from Europe, your plugs will likely work in Nepal. You can purchase cheap adapters in Kathmandu. Merchandise, hotel rooms, transit rides (basically everything) do not have set prices. To get the best price (or simply a fair price), you have to negotiate. If you’re interested in buying a certain item, walk around and ask several shop owners what the price is. Someone told us you should be paying 30% of the asking price. We never were able to drive the price that low, but we always paid less than the first offer. 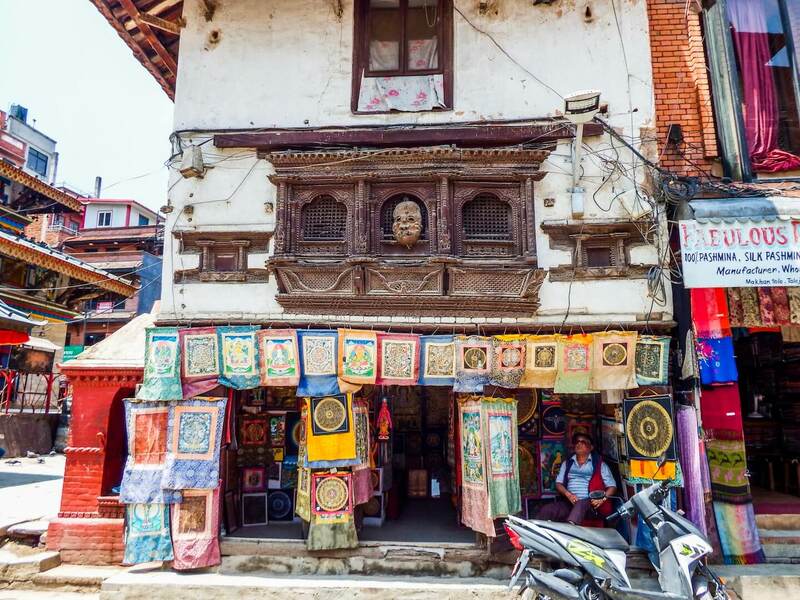 We encountered a few scams during our time in Kathmandu, including the following. Children or young mothers asking for milk. Once you buy the milk at a designated store at an inflated price, the mother, or child returns the milk and pockets some of the mark-up. ‘Holy men’ who try to bless you by planting a tika (red paste) on your forehead. They demand a payment upon bestowing the blessing. Lonely planet has summarized other scams you may come across.